You are here: Home / Recipes and How To / Is It Really Worth It to Buy Free Range Turkey? Is It Really Worth It to Buy Free Range Turkey? Is there anything better than your usual home-cooked turkey for Thanksgiving dinner? Some may argue so. Free range animals are gaining traction as healthier, more appetizing alternatives. And, we can certainly see why. Free range turkeys are raised much differently than your traditional birds. Instead of being confined to cooped-up quarters, they have the ability to roam outside (hence free range). Their humane upbringing is a huge selling point to many, especially food advocates. But, with such steep prices, is it really worth it to make the switch? That’s why we’re stepping in. 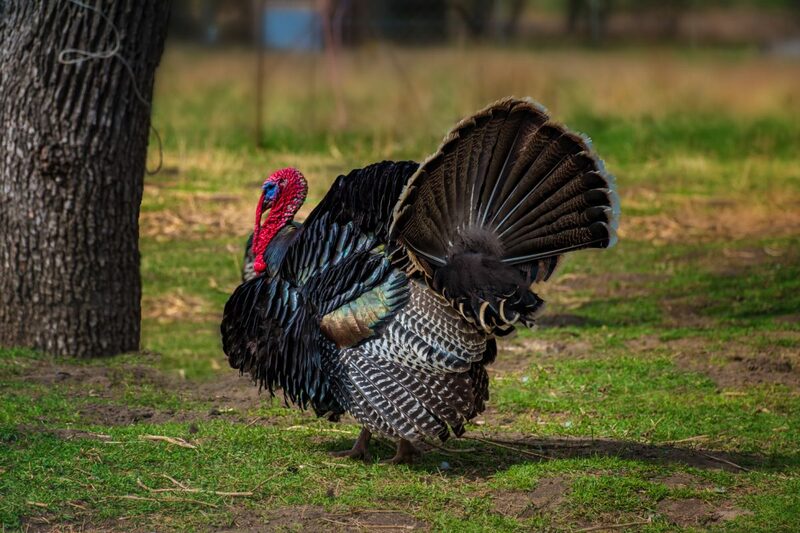 Read on to learn about the advantages and disadvantages of buying a free range turkey. Not only are free range animals raised in a more open environment, they’re also fed much healthier. Farmers do not give these turkeys any hormones or antibiotics. Often times, animals raised for meat purposes are fed an assortment of antibiotics. It goes without saying- you eat what your meat eats. This means that you’re ingesting drug-resistant bacteria from everyday sources of protein. Unfortunately, in recent years, this has become such an increasingly large problem. Now, the FDA has even restricted the use of antibiotics on livestock. That’s because 23,000 Americans will fall sick and die from these infections each year. 440,000 Americans total will contract an infection from their meat. Free range animals are a guarantee you’re not consuming other living beings’ antibiotics. Since free range turkeys aren’t confined to one single, tight space, they’re less at risk for any of their own potential disease. Non-pastured animals are often subject to tight corners with many others at a time. This puts your meat at high risk for contracting other serious illnesses. This is also what leads farmers to overuse antibiotics on their livestock. As mentioned above, free range turkeys have the ability to roam freely outside. When they aren’t confined to one single space, there is less room for illness or disease. Also, this reduces the risk of an infectious disease spreading. It’s quite expensive for farmers to raise their birds the humane way (which reflects in the cost). However, as with most things in life, you get what you pay for. If you’re paying low prices for a commodity turkey, you’re risking that it was factory, not farm, raised. It’s a very sad reality that we see- animals raised for meat are often treated horrendously. Semi-recently, Butterball, one of the nation’s largest turkey providers, became a prime example. This company, where 30% of the U.S. purchases their Thanksgiving meats from, has been under fire for several instances of animal abuse. Captured on an employee’s phone camera, countless animals were exposed to horrific cruelty. Butterball employees were seen violently kicking, throwing, and beating the poor animals. Unfortunately, with commodity turkeys, this happens more times than we’re usually aware of. Being aware of this kind of behavior can truly ruin an entire meal. Luckily, smaller farms do not have this kind of reputation. They’re well-known for their humane treatment of free range farm animals. The most obvious reason you’d opt against a free range animal is the cost. Purchasing one of these guys will set you back quite a bit more than their counterparts. In some cases, free range turkeys have been as much as 8.5x the cost of the traditional bird. But, on average, a free range turkey costs roughly $6-$7 per pound. A commodity turkey, on the other hand, is much lower with prices around the $1.40 mark. Yes, I did just spend a lot of time talking about how great it is that free range turkeys roam freely on their farms. But, there is quite the stipulation to this definition. Per USDA standards, to be a “free range” bird, your animal has to have access to the outdoors. Farmers don’t have to have their animals go outside a certain amount of hours in the day. They don’t have to get a certain amount of exercise. They don’t even have to be living outside of a crowded coop. As long as the birds have access to walk in and out for SOME period of the day, they’re considered free range. Now, luckily a good majority of livestock farmers are ethical. If they label their turkeys as “free range”, then it’s what you’d expect. In our experience, there is almost nobody trying to pass off regular turkey as free range turkey. But, in some cases, the birds might not be very free range after all. This is why it’s good to be as informed as possible about where you buy your poultry. Final Showdown, Commodity or Free Range Turkeys? Well, that’s certainly still up to you. Purchasing a free range bird clearly has its benefits. You’re more likely to buy from a trusted source who has raised the bird with moral standards. However, for many, the holidays are already expensive enough. It isn’t an easy switch to free range animals, as the cost difference is quite noticeable. When it comes down to it, there is no right or wrong answer. But, you can make a more educated purchase by looking into where you buy your meat from. Just because you usually shop for free range animals, doesn’t mean that’s what you actually get. Contact your local farmers or distributors, because as we mentioned above, labels can be quite deceptive. Are you looking to make the most of your turkey dinner? Well, you’re in the right place. At Love Deep Fried Turkey, we know good cooking. Nothing beats the taste of a deep-fried turkey — free range or commodity. Impress your guests with the crispy, juicy meat that comes from our deep fryers. Click here to learn about our products and which one may be best for you!